We often resign to popular belief that BMW, Mercedes Benz, and Audi are the kings of everything automotive pertaining to luxury and performance. This then trickles down to consumer behavior where people are only buying certain models because the badge on the front and back may either impress those around them or they perceive those brands to be the best on the market. Near the end of 2018 before getting some time with the redesigned 2019 Acura RDX, I was surprised to find out that this luxury crossover is not only outselling the BMW X3, but its dominated this matchup the last three years. Lately, there have been many in the industry who feel that German design has become quite reserved, whereas the Japanese are now the risk takers with some very edgy and futuristic front and rear fascias. 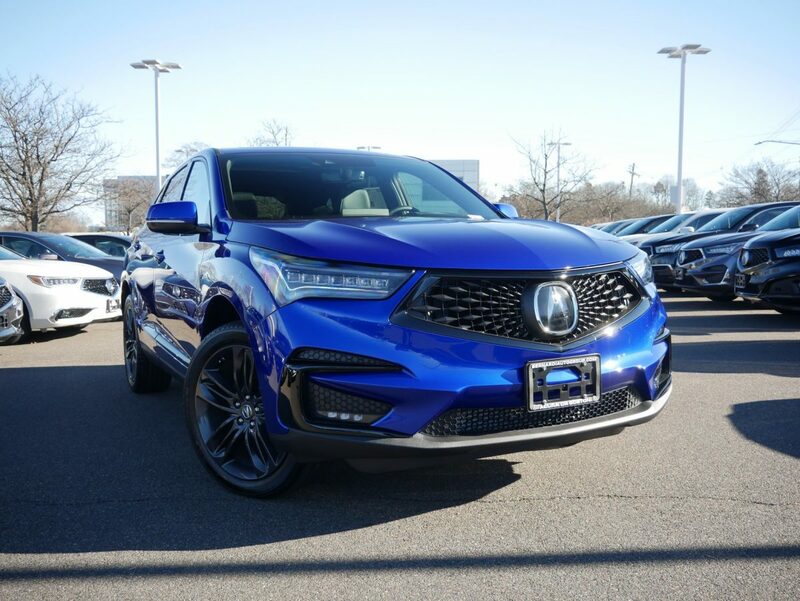 The Acura RDX is no exception, and in fact for 2019 it’s sporting a more aggressive appearance that’s clearly attracting new buyers. One of the factors that’s playing a role not only in the mid-size crossover segment but others in the luxury market, is that non-German brands are finding new ways to find success that advertising and tradition just can’t achieve in 2019. The Acura RDX finds itself in a great position for a mid-sized luxury crossover, mostly due to the price tag. Starting just over $37k, the RDX sometimes gets compared to the smaller BMW X2 by consumers. This alone could be a reason why Acura’s smallest crossover outperforms the BMW X3 in terms of annual sales, but more importantly it undercuts the X3 when it comes to pricing. Because of this, the RDX finds itself at a competitive advantage because it’s more practical than the X2 and more affordable than the X3. Fully specced out you can expect a price just under $50k. But it’s the mid-level trim that gets most of the attention as the RDX A-Spec not only comes available with a sporty appearance, but you can option for red leather seats with suede inserts that are honestly one of the most comfortable in it’s class. Paired with Apex Blue or Performance Red paint, the RDX’s road presence will easily turn heads and really stands out. For performance, the RDX gets a 2 liter turbocharged four cylinder engine that gets 272 hp and 280 lb ft of torque and is paired with a 10 speed automatic transmission which is all new for 2019. Just like with the Super Handling AWD system which Acura has brought back to the delight of both brand loyalists and journalists, the four cylinder has made a return as it replaces the V6 engine that was offered last generation. While there’s a slight decrease in horsepower with a smaller engine, torque numbers increased. Acura says the 2019 RDX will go from 0-60 in around 5.7 seconds which is about half a second faster from 2018, but as of right now there is no official data. For drivetrain options, FWD comes standard with AWD being a $2000 option. When it comes to fuel economy, you can expect to receive 21 mpg in the city and 27 mpg on the highway with AWD, and if you choose to go with FWD, fuel efficiency numbers increase very slightly. Despite fuel efficiency being iffy with a combined average of 24 mpg, the RDX is actually rather spacious inside, and with that you’re going to have the ability to carry more items. You’ll find close to 30 cubic ft of cargo room which is an improvement of about 3 cubic ft from last generation and there’s additional compartments under the floor which is great if you have belongings you don’t want people to see and possibly steal. With the seats folded down, the rear cargo volume doubles in size to almost 60 cubic ft, which Acura claims is class leading in this segment of crossovers. For all passengers in the back, they’re going to get an ample amount of legroom including the fifth passenger in the middle as the floor is flat which will allow that person to stretch their legs a little more than in most crossovers in this segment. Overall, both the driver and passengers are going to be comfortable, and the environment the RDX offers to all occupants makes this crossover perfect for longer road trips. The 2019 Acura RDX may not be German or have a performance package with a bigger engine, but it does offer an alternative to consumers who have no interest in buying a BMW, Mercedes Benz or Audi. Acura does have some weaknesses like its infotainment system that requires 5-10 minutes of learning before getting comfortable using it. Instead of a touchscreen you get a touchpad similar to what you find on any laptop, however there’s no mouse which naturally we’ve become accustomed to, so there’s a lot of guessing early on when trying to click on apps. If you can get past the learning curve with the infotainment system, the RDX is actually a solid option for crossover buyers in this price range. In 2018 it’s outsold the BMW X3, Mercedes Benz GLC, and Volvo XC60 and that can be attributed to what the RDX offers. All trims from the technology package up receive a list of safety features standard that are optional equipment when configuring models from competitors, it’s spacious and comfortable, and has a classy, yet sporty appearance that’s appealing to look at. Usually you can say that a German brand has the best model in a particular segment, but Acura has done their best to challenge that narrative and so far has been very successful with the RDX over the last few years. The only question that remains now is, with the X3 getting a much needed facelift, will BMW claim the throne? 2019 is about to get very interesting. The three major German luxury brands; Mercedes Benz, BMW, and Audi have built a tradition over the last 20-25 years that has resonated with a large percentage of consumers in the United States. Mercedes Benz is “The Best or Nothing”, BMW is “The Ultimate Driving Machine”, but mostly Audi’s only claim to popularity is it’s Quattro AWD system that is certainly needed in the Northeast and other colder regions of the country. This is why year after year, Audi is third in overall sales behind Mercedes Benz and BMW because in warmer climates AWD isn’t necessary. With it being the holiday season, it’s time for the annual “Season of Audi sales event” where the brand associates their vehicles with cold and snow conditions to advertise the Quattro AWD system. Meanwhile BMW and Mercedes Benz, who lean more towards the luxury and performance aspects of the vehicles in their lineups, have always been looked upon as being the more premium brands out of the three German auto manufacturers. It wouldn’t be a stretch to say that Mercedes Benz has enjoyed many years of having the best interior, while BMW takes pride in their performance. However, as we look to 2019 and beyond, the status quo has significantly changed where Audi has taken great strides in a variety of ways with their updated A6, A7, A8, and all new Q8. As mentioned earlier, Quattro was Audi’s main selling point and may still be moving forward, but it’s the redesigned classy and luxurious interior that should get a lot of attention from consumers. Audi’s Virtual Cockpit is without a doubt unrivaled as the 12.3″ digital information display is the most extensive system on the market. Its high resolution in combination with Google Earth being the navigation system that can be your full display in front of you is not found in any rival vehicles. It’s when you move over to the center console and infotainment system that you realize you’re sitting in a premium luxury vehicle. New for 2019 is dual touch screens. Yes, you read that right. There’s now two touch screens in the A6, A7, A8, and Q8 that I personally haven’t seen in a vehicle since I reviewed a 2018 Range Rover Velar. The primary screen is where your radio controls, car settings, and navigation system will be, while the secondary screen controls your dual zone climate control, heated and ventilated front seats, and also is where you’ll find the buttons for your drive mode selector. For the most part, Audi never really had complex infotainment systems in the past, and overall the interiors were rather simplistic compared to Mercedes Benz. Now it’s a completely different story where you could make the argument that Audi is at least second in the most comfortable interior category as their changes overshadow Mercedes Benz’s minor facelift inside. With winter essentially already here, it’s that time of year when you’re getting out of work at 4:30 or 5pm and the temperature reads 20 degrees, the sun is already down, and there’s traffic for miles. This is where a luxury car becomes a very welcoming sight. 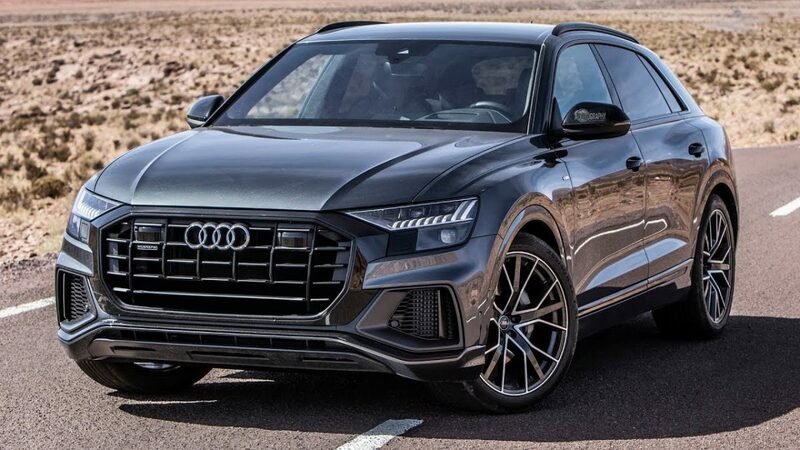 What Audi has done for their 2019 models is make a driving environment that’s not only comfortable, but also luxurious to the point that you’ll find yourself not wanting to let go of the steering wheel. The interior is what you expect from a $60k+ vehicle and the major upgrades that Audi implemented into their cars is going to make waves when consumers visit auto shows this winter. For me personally, I find that Mercedes Benz’s minor touchups pale in comparison to their German rival, and if Audi continues to progress in luxury and class Mercedes may longer be looked at as being the benchmark for first class comfort. A new decade that is quickly approaching has already made car brands think futuristic. The amount of technological advances, along with the continuously added comfort features are ready to meet and pamper consumers in the 2020’s. Audi is taking a big step forward, and at the very least, has made strides to be on par with Mercedes Benz and BMW. The future for the German auto manufacturers is setting up to be fun, and the new era that awaits us will change how we define luxury and class. 2019 Lincoln Nautilus – Is This The Revival of American Luxury? For the better part of the last 20 years or so, American luxury car brands have been on the ropes due to the emergence and dominance of European luxury sedans and crossovers. To try appealing to the remaining consumer base that’s been on the fence of whether to choose a German brand over manufacturers from Detroit, companies like Cadillac have tried their best to impersonate European styling and driving feel, but continue to fall short as Americans still gravitate towards Audi, BMW, and Mercedes Benz. Lincoln however, is on a mission to change that by going back to their roots and provide drivers with a luxury feel only Americans can offer. The all new Lincoln Nautilus, which has replaced the MKX in the lineup, not only brings back American tradition by having an actual name rather than a combination of letters, but also offers a premium feel both inside and out. As we all know Lincoln is owned by Ford, which has really been a thorn in the side of the company because prior to the last few years, nothing really distinguished their vehicles form Ford’s lineup. The current MKZ is a rebadged Fusion with a different body style, just like the Lincoln Town Car was a more luxurious Ford Crown Vic. But believe it or not, the Nautilus is built on the same platform as the Ford Edge, yet even after 10 minutes of looking at it, there’s very few subtle design elements that you could potentially see the appearance of an Edge before you’re forcing yourself to see what’s not there. For performance, you’ll have a choice between a two liter four cylinder engine, or the 2.7L twin-turbocharged V6 that’s found in the Edge ST that will get 335 hp and 380 lb ft of torque. New for 2019 is the 8-speed automatic transmission that replaces the six speed automatic found in 2018 models of the MKX. There’s also two different drivetrain options available, with front wheel drive coming standard and the ability to upgrade to all-wheel drive. Fuel economy will differ depending on which engine you choose, as the V6 will get 17 mpg in the city and 24 mpg on the highway. There’s three trims available for the 2019 Nautilus: Select, Reserve, and Black Label. Going with the Black Label trim will offer over-the-top, but definitely welcoming luxury features and touches that many in the industry rave about. Inside you’re greeted by Venetian leather seats with three different themes to choose from that change the interior color combinations. These seats will be heated and ventilated, and as part of the climate package, a heated steering wheel and heated rear seats will also be included. You’ll enjoy the music being played on the radio as the Black Label gets the upgraded 19 speaker Revel Ultima Sound System that’s been praised by many automotive YouTubers for providing crisp audio. The Nautilus isn’t just luxurious, but also provides a good amount of safety features. Optional is a 360 degree top view camera that’s becoming common on all new vehicles in this segment. This camera, along with front parking sensors and enhanced active park assist make up the Technology Package. As part of the Driver Assistance Package, more safety features are added that include adaptive cruise control with stop and go and lane centering, adaptive steering, and a collision mitigation system. Besides some of the technology features that are available on the Ford Edge, the only aspect of this vehicle that resembles Ford products is the center console. Same design that you’ll find inside an Edge, with the only difference being that there’s no rotary dial to select gears, and instead you’ll have push buttons next to the infotainment system. Speaking of that infotainment system, the Nautilus gets Ford’s Sync 3 System which includes voice activated navigation along with Apple CarPlay and Android Auto. There will also be a compartment for your smartphone that includes a wireless phone charging pad, which is all being offered on the Edge. Overall, the Nautilus is a step in the right direction for an automotive brand that has to compete with the likes of Mercedes Benz, Audi, and BMW. What I like about this crossover is that the designers masked this vehicle to limit how much influence Ford has on Lincoln, which should draw in consumers who want to stand out from the German crossovers on the road. At the end of the day what’s standing in the way of the Nautilus is marketing and brand image. If Lincoln tries appealing to middle-aged adults and steers further away from consumers on the edge of retirement, the Nautilus can certainly find a niche customer base and find success in this very competitive segment. 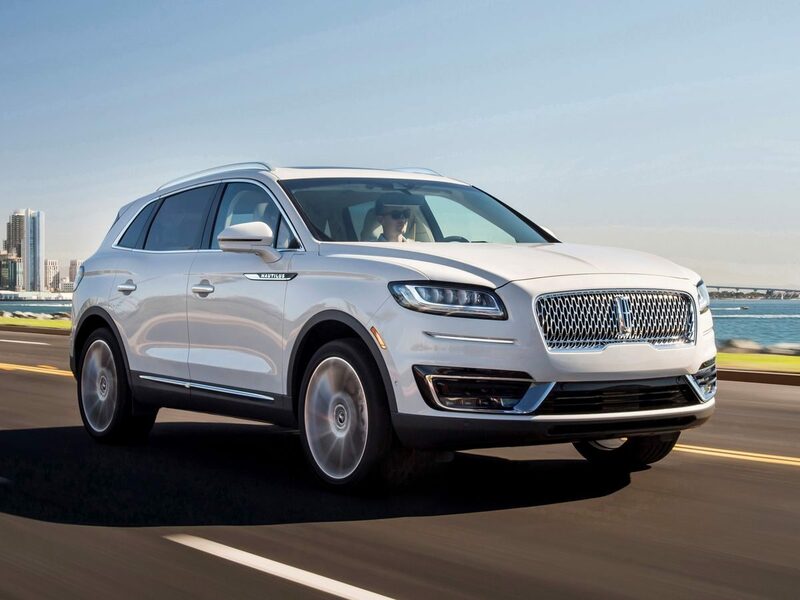 Author Mike CerraPosted on November 12, 2018 Categories Automotive WorldTags Audi, Automotive, Automotive World, Autos, BMW, Boston, Buick, Cadillac, Cars, Chevrolet, Chrysler, Dodge, Ford, Lincoln, Lincoln Nautilus, Mercedes Benz, VolvoLeave a comment on 2019 Lincoln Nautilus – Is This The Revival of American Luxury? Has the Crossover Craze Opened The Door For A Sedan Renaissance? Ask any car enthusiast what their thoughts are on crossovers taking over the automotive industry and they’ll all reply with a worrying comment that it’s the end of cars and sedans. While the average consumer has become addicted to crossovers and brands who once only produced cars like Porsche, Jaguar, and Maserati catering to that demand, has certainly concerned gear heads. When Ford announced they were no longer selling the Fusion, Focus, Fiesta, and Taurus in the US, that’s when speculation went rampant that other manufacturers would follow suit. Despite the perception of dark times and the dominance of SUV’s, there’s been a small glimmer of light coming from unexpected brands who’ve made sedans once again appealing. German auto manufacturers like BMW, Audi, and Mercedes Benz have committed themselves to producing crossovers in every segment of that market. It could be argued that while new models of SUV’s are being released almost every two or three years, their sedans have become quite stale, and are more of an afterthought and just a filler in their lineups. This has certainly exposed a weakness in what was once a German dominated luxury sedan market, and now there’s new players in the game ready to check in that are slowly turning heads. The Volvo S60 was always priced in the mid $30k range, yet never got any attention because of an outdated generation that lasted almost a decade. With a complete redesign, the S60 now shares a similar appearance to it’s bigger sibling, the S90. Most importantly however, this Swedish sedan is now beginning to raise questions whether paying $40k for a base model BMW 330i or Mercedes Benz C300 is even worth the cost. With a price tag just under $36k, the S60 has the 330i beat by almost $4,500, which allows consumers to add packages to their S60 that might offer more features than what they’d get on a BMW 3 Series. When adding the Audi A4 into the equation, the comparison in terms of price and standard features then become more interesting. However, Volvo still has the A4 beat because when we start looking at $40k+, the S60 T6 then comes into play, offering 316 HP and AWD. Optional technology and comfort features for the Volvo adds similar technology that can be found on the A4, making this a very tough decision for car buyers in this segment. Also new for this generation is the 400 HP hybrid T8 engine that can be found in most vehicles in the Volvo lineup. Volvo claims the S60 T8 will do 0-60 in 4.4 seconds, and it’s going to be interesting to see how consumers perceive this performance sedan, as Swedish cars have never been known for their straight line speed. 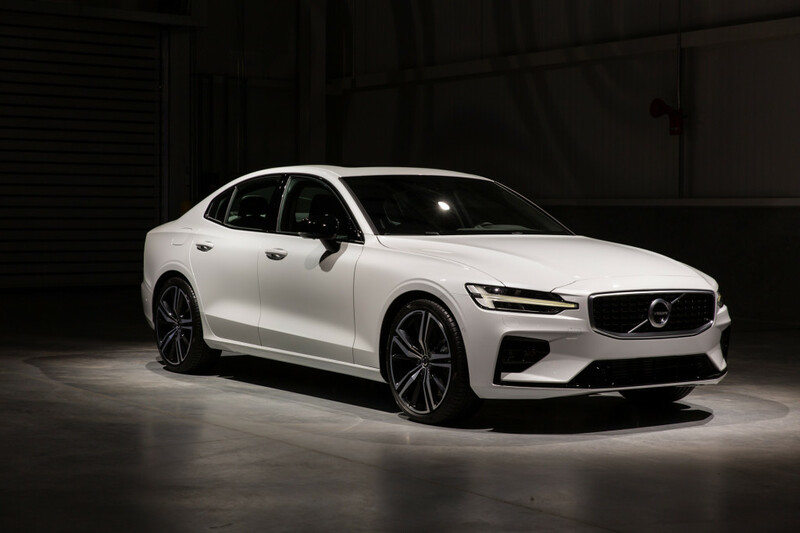 The redesigned S60 is a breath of fresh air and has certainly taken this Swedish mid-sized luxury sedan to a completely different level than its predecessors, but it’s not the only sedan entering the market that’s ready to make a big splash. Much anticipated the last few weeks has been the arrival of the Genesis G70 models at dealerships. The all new entry level sedan for the Genesis brand is going to start just under $36k, and just like with the Volvo S60, undercuts its German rivals by almost $5k. But excellent pricing takes a back seat on this one, as the G70 comes with an optional manual transmission which should appease car enthusiasts. This good news could have been better had the manual transmission been paired with the optional 3.3L V6 engine that gets 365 HP instead of the 2 liter four cylinder engine, but as the saying goes, “You can’t have it all”. The cost for a manual transmission on the Genesis G70 will set you back almost $46k, but you’ll get nappa leather seats and Michelin Pilot Sport 4 tires. Standard features for the G70 include: power front seats, dual-zone automatic climate control, an 8.0-inch touchscreen, and some safety features such as emergency automatic braking. 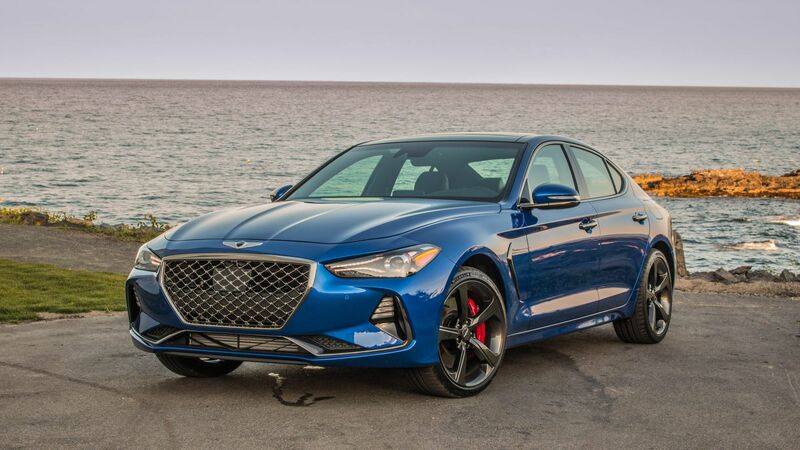 In an age of crossovers, Genesis’ decision to release another four door luxury sedan in their lineup to compete with the BMW 3 Series, Audi A4, and Mercedes Benz C300 is almost a throwback to what the automotive industry used to be. Before the days of crossovers, luxury brands would compete with each other in all segments of sedans, and between Volvo and Genesis adding legitimate competition into the mix of German luxury sedans, this is like reminiscing back to the old days. The argument could be made that the Stinger GT isn’t a luxury car, and that’s completely understandable. However, the last few years we’ve seen the rise of sportbacks from BMW, Audi, and Mercedes Benz that’s begun to take the automotive design of four door cars by storm and has influenced the appearance of the current Honda Accord. Where the Stinger GT is priced, it takes on the Audi A5 Sportback and BMW 430i Gran Coupe and out performing both with it’s 3.3L V6 engine that gets 365 hp. This is the same engine that is offered on the Genesis G70. The Stinger GT, for the time being and maybe even 5-10 years from now, could be a car we remember as being a risk taken by Kia that actually succeeded. While the Stinger was in the works for years, you could question whether brands like Kia are seeing the opportunity to sneak into the sedan segment and slowly take market share away from German luxury automakers who seem more focused on crossovers at the moment. Genesis, Volvo, and Kia are taking the unconventional approach and putting time into the sedans they’re releasing. Despite Volvo having a crossover for every segment, they didn’t abandon their mid-sized sedan, and instead improved it unlike the current BMW 3 Series and Mercedes Benz C300. On a side note, BMW is working on the next generation 3 Series, and I’m interested to see what changes they make to take on new upcoming rivals. But this renaissance of sedans doesn’t just pertain to luxury or performance cars; this is quietly happening elsewhere. Earlier this year I raved about the 2018 Toyota Camry XSE V6. A sedan that gets 301 HP, an optional two-toned exterior with red interior, and paddle shifters. A sedan that got absolutely no love in the car community has certainly garnered some attention by drivers who want to have some fun behind the wheel, but not necessarily desire the stares from fellow motorists. The design is sleek, almost resembling a Lexus, which is most likely Toyota’s goal, and for the first time making this sedan attractive to consumers in any age demographic. 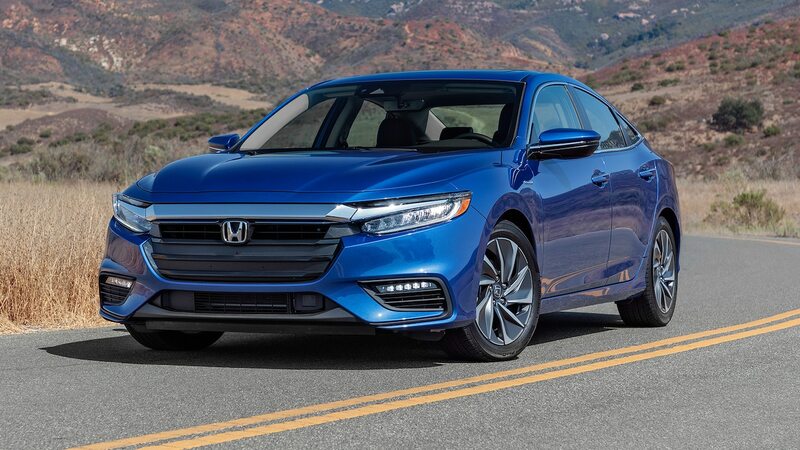 For the 2019 model year, Honda is reintroducing the Insight. Remember the days when this hybrid was a small two-door, computer mouse-shaped alternative energy vehicle in the early 2000’s? Or when the second generation took on the appearance of a Toyota Prius to try making strong gains in the hybrid segment? Well now it’s a four-door sedan that I’d argue is the best looking hybrid under $30k right now. Built on the same platform as the Civic, the Insight gets many design cues from it’s compact vehicle relative which should draw in consumers who are on the fence of whether to purchase a gas powered car or make a commitment to hybrid technology. Highlighting the features on the Insight is its exceptional fuel efficiency with the LX and EX trims getting 55 mpg in the city and 49 mpg on the highway. The Touring trim will get slightly lower numbers due to the upgraded 17″ alloy wheels, but with a base price of just over $22k for the LX, this is one hybrid that’s going to the Prius a run for its money. Despite the claims made by some automotive journalists and car enthusiasts, the four-door sedan isn’t going away anytime in the near future. If anything, the crossover craze has opened the door for manufacturers to not rush their products, and instead continuously improve the sedans they have in their lineups. Toyota still sells 200,000+ Camry’s per year, and Nissan has similar numbers with the Altima. There’s been no steep decline in the sales of these models over past decade, which should indicate that there’s still a demand for sedans in a crossover dominated automotive market. Author Mike CerraPosted on October 1, 2018 Categories Automotive WorldTags Audi, Automotive, Automotive World, Autos, BMW, Cars, genesis g70, honda insight, Jaguar, Kia Stinger, Maserati, Mercedes Benz, Porsche, Toyota, Toyota Camry, Volvo, Volvo S60Leave a comment on Has the Crossover Craze Opened The Door For A Sedan Renaissance? 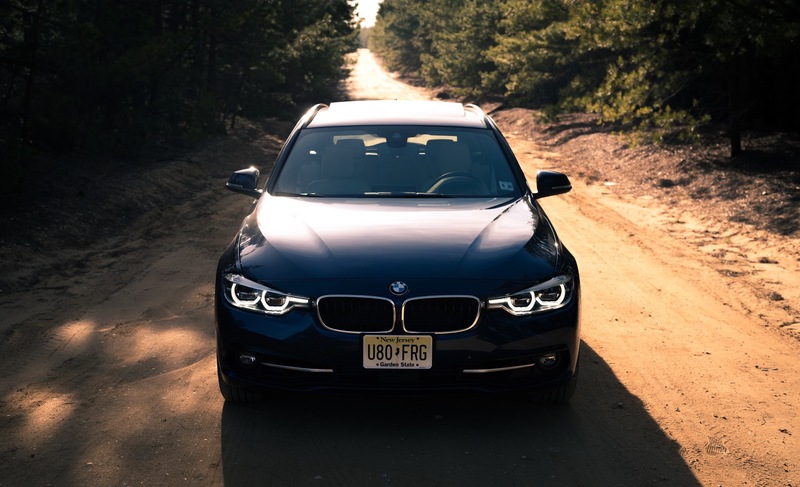 Since the mid 90’s, BMW, Audi, and Mercedes Benz have enjoyed two decades of dominance in the luxury sedan segment after toppling the American automotive giants based in Michigan. What has seemed to be an unstoppable force is now ripe for the picking as we get closer to 2020. In recent years, German automakers have put a lot of emphasis on their crossovers and trying to one up each other with every new model they release. Meanwhile, scattered across the European continent, Volvo, Alfa Romeo, Maserati, and Jaguar have made strides in the US, but only Volvo has taken the initiative to go all in and take on the Germans singlehandedly. Volvo’s all new lineup is just about ready to be completed with the redesigned S60/V60 hitting the market later this year. The XC40, XC60, and XC90 are positioned perfectly to compete in all segments of the crossover market, while the S90/V90 flagship brings Swedish luxury and design to German dominated full-sized sedan and wagon segments. But it’s the S60 that’s going to be a significant competitor; one that will certainly make consumers very conflicted on whether to buy a BMW 3 Series, or go with a Swedish car instead of being mainstream. 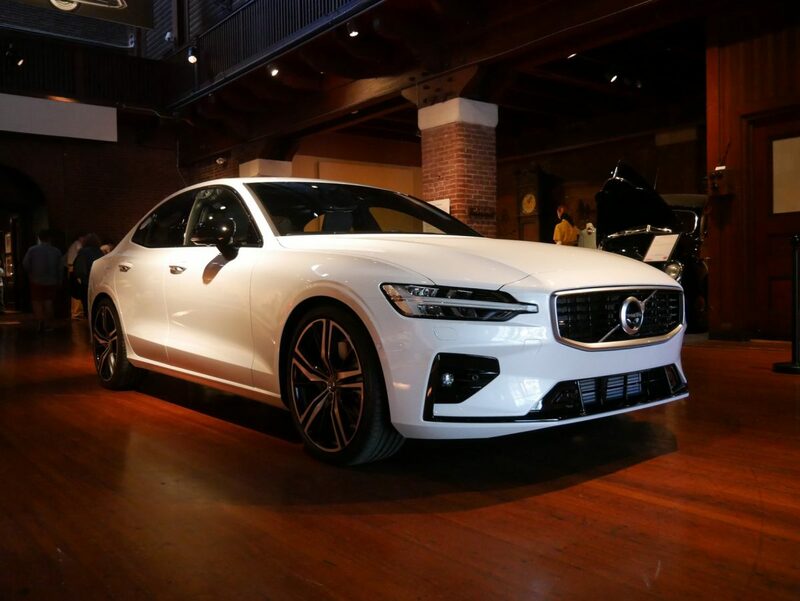 Having seen the new S60 in person at Larz Anderson Auto Museum in Brookline, MA during Swedish Car Day, my initial impression is that this car is purposely built to rival any compact to mid-sized sedan Audi, Mercedes Benz, and BMW have to offer. With a starting price just under $36k, the standard equipment on the S60 should already draw interest by consumers. LED headlights, a panoramic moonroof, Apple CarPlay and Android Auto compatibility, an 8″ digital information display, and dual zone climate control are the highlighted features on a “base model” S60 T5 Momentum. If 250 hp isn’t enough, you can option for a T6 with AWD that gets 316 hp and 295 lb. ft. of torque for an additional $4,500. Optional features that are also available on the T5 include: 19″ alloy wheels, exterior styling kits that give the S60 a more sporty appearance with a different rear diffuser and slightly aggressive side skirts, and a multimedia package that adds a 12.3″ digital instrument cluster, a Harman Kardon Premium Audio system, and a navigation system. Volvo has built a brand on safety, and it shouldn’t be surprising that additional safety technology such as blind spot detection, rear cross traffic alert, and a 360 degree birds eye view camera are available as well. For the Inscription and R-Design trims an all new T8 plug-in hybrid engine is going to make the S60 one stealthy performance sedan on the road. 400 hp and 495 lb. ft. of torque will leave fellow motorists bewildered and speechless as Volvo’s aren’t known for their quick 0-60 accelerations. For this type of performance you’re looking at a price tag around $55k which is in line with the Audi S4. Where the Volvo S60 is really going to excel at is right around the $40k price range. To put this into perspective, the base price for the S60 would get you a BMW 320i xDrive sedan, a front wheel drive Audi A3 and A4, or a CLA 250 4MATIC. The standard equipment alone puts Volvo at an advantage, and if you went with a T5 engine, you’d have the additional $4,500 to spend on packages before you reach the price of an entry level C300 and BMW 328i. When doing a quick comparison, the Audi A4 would probably be the closest competitor to the S60 at this price range which offers some similar features. You could probably make a case for the A3 to be in this conversation, but then we’d be comparing a compact sedan with an S60 that is the A4’s Swedish counterpart. The S60 is priced to succeed in a segment that gets little to no attention. While the Germans have been set in their ways, Volvo made crucial changes that will immediately turn heads. Geely did the best they could with the remains of the Ford DNA in Volvo vehicles, and now that these models are built on their platform, Volvo can attract a new generation to a brand that’s appealed to older consumers for decades. At the end of the day Volvo has been a feel-good story. From being on the ropes a few years ago to now producing classy and luxurious vehicles, the Swedish automaker hasn’t even hit the ceiling of potential. There’s plenty of excitement surrounding the brand, and with the redesigned S60, 2019 could be a very good year for Volvo. The year 2020 is on the horizon and for many, the compact car is an afterthought due to the high demand in crossover SUV’s. Ford has decided to no longer make sedans or hatchbacks and instead focus solely on crossovers and pickup trucks, which some believe is the growing sentiment in the automotive industry and the type of future that consumers will soon have to face. However, there’s brands like Chevrolet, Toyota, and Honda who are still committed to cars and have no intention of ending successful models for the sake of following a growing trend in the market. 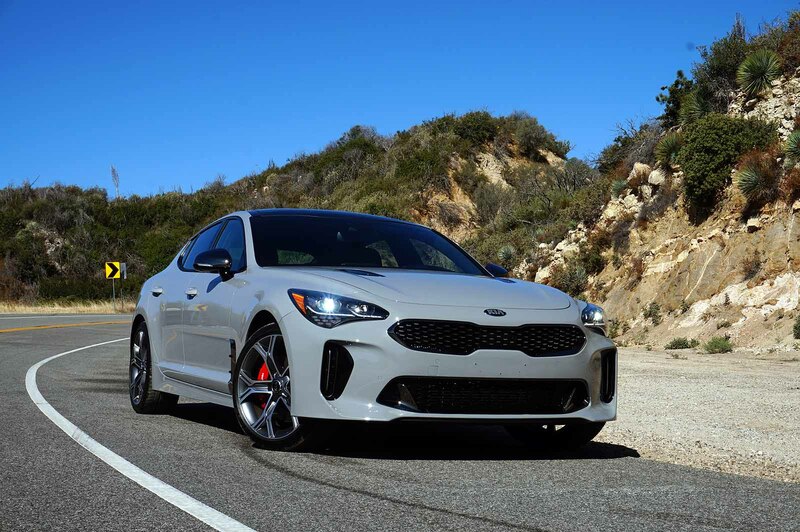 Then you have Kia who releases the all new Stinger which became an immediate hit, and now they hope the completely redesigned Forte shares the same success. Remember the days when compact cars were purchased for being economical, whether that be for fuel efficiency or affordability? 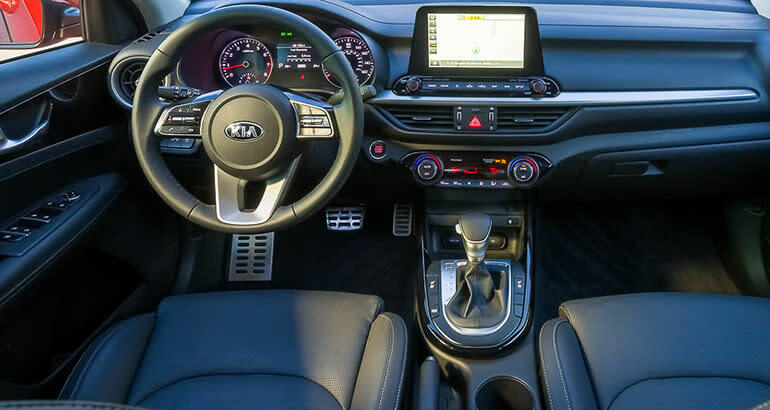 Now cars like the Kia Forte EX bring much more than just an appealing sticker price and good fuel economy; they also offer some comfort features that even 5-10 years ago would be considered a dream to have in a car aimed at young and first time buyers. Features like heated and ventilated front seats, Apple Car Play and Android Auto compatibility, a touchscreen with a navigation system, and rear backup camera with trajectory can be found on the EX trim of the Forte. What some in the automotive industry are speculating is that with less competition in the compact car and sedan segments, manufacturers can spend much more time on the smaller details. Cars like the Kia Forte and Ford Focus were at one time cheap cars that got good gas mileage with no expectations of having any sense of entry level luxury. The 2019 Forte is certainly nowhere near a luxury car, but for around $27k to get that many tech features, including wireless phone charging, compact cars have come a long way since 2000. This begins to raise the question whether the sedan and compact cars really are dead or on the way out. Over the last 30 years there have been major swings in consumer behavior, sometimes being due to the economical climate in the United States. We’ve seen big cars get phased out for a while, we’ve seen the rise and fall of the large SUV which is slowly making a return, the almost near death of mini-vans, and the re-introduction of a station wagon in Buick’s lineup for the first time since the mid 90’s. The pendulum swing is inevitable as people in general want to be different than their neighbors, so at this point it’s just a waiting game to see when momentum shifts in a new direction. In the meantime, compact cars are silently being improved, offering affordability and tech features along with the pre-existing practicality that should appeal to younger buyers. 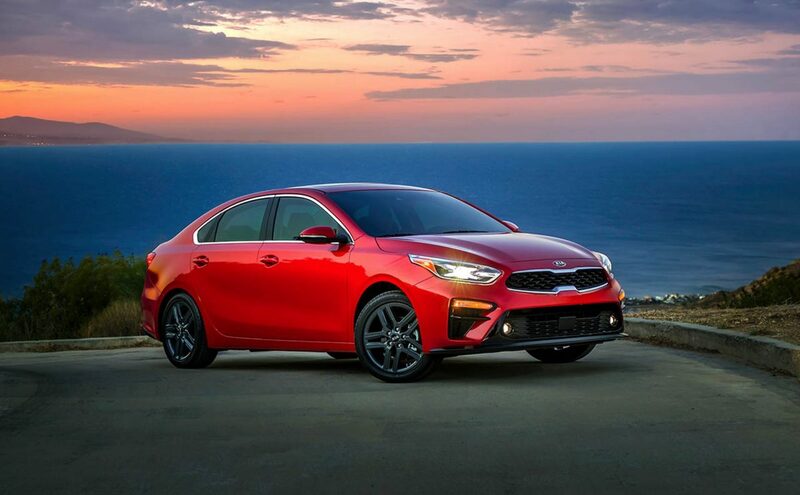 Working in the 2019 Forte’s favor is the bold and aggressive appearance that sports similar design cues to the Kia Stinger. While the Forte’s small 2 liter four cylinder engine only gets 147 hp and the lack of AWD may not give you the Stinger feel, you’re going to have a car that is sleeker than most in its class. The weak spot the Forte has is the CVT. Kia has said it’s not a traditional CVT and they’ve worked on making it mimic shifts you’d experience in an automatic, but the engine drone isn’t appealing to hear when accelerating. However, the Forte does come with three different driving modes, and when put into sport mode, the transmission does shift faster which certainly limits the drone you’ll experience. There has been speculation of an SX trim that should bring more horsepower and hopefully a different transmission, but so far there hasn’t been any news, which is to be expected as the 2019 model year is beginning to hit showrooms now. Inside, the heated and ventilated seats unfortunately aren’t real leather, but that shouldn’t be expected in a car in this particular segment. To have ventilation is an eye opener because that isn’t a feature that’s common in most compact cars heading into 2019. Some of the interior design does resemble Mazda, especially with the touchscreen no longer being integrated into the center console, and is now higher up towards the dashboard. For the instrument panel you’ll get both analog gauges and a digital information display that’s becoming widespread across all vehicles in every segment. As technology continues to trickle down to more affordable vehicles like the Kia Forte, these cars then become more appealing. The only negatives that compact cars are facing is the lack of versatility and AWD. The Forte only gets about 18 cubic ft of cargo room while crossovers will provide more room and AWD, which consumers then perceive the smaller cars are providing much less value. As mentioned before, the current US economy supports the decision for car buyers to go bigger with crossovers, and no matter what direction the stock market goes in by the beginning on next decade, consumer behavior will inevitably change. To some degree, their purchasing decisions might be affected by what their friends and neighbors are doing and clearly that’s what happened with crossovers. Is there still a future for compact cars and sedans? Some car brands believe so, and without competition from rival manufacturers, they can continue to improve these vehicles making them enticing to consumers of all ages. Now the only question is, how long must we wait before cars have everything we want, from performance to practicality. That day may not come at all, but brands like Kia aren’t throwing in the towel just yet. In 2017, car buyers have plenty of options to choose from. They can purchase a sedan, crossover, full sized SUV, or hatchback, but it gets even more difficult when you narrow it down to a specific category within the automotive market. For luxury sedans, consumers can go with BMW, Audi, Mercedes Benz, Alfa Romeo, Lexus, Acura, and Jaguar, but for the person who wants a compromise between safety, luxury, and performance, the Volvo S60 is the ideal car that suits the needs of many Americans. Monday I got to spend time with a 2018 S60 T5 Dynamic, courtesy of Volvo Village in Danvers, Massachusetts. 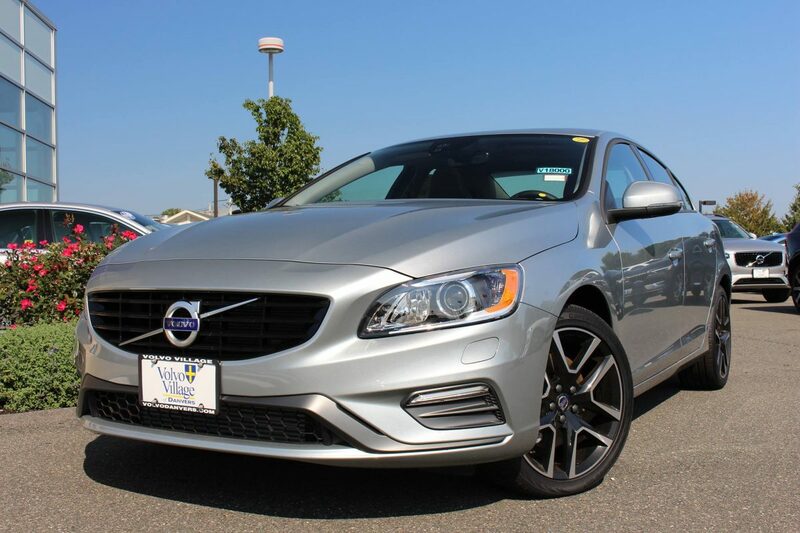 If you’re familiar with the second generation S60, you know that over time its appearance has become more aggressive and sporty. Starting with the 2017 model year, the Dynamic trim was introduced, and with that brought a slight change as the 2018 I got to review had the 18″ Tucan Diamond Cut Black Alloy wheels that come standard. Volvo has integrated sporty qualities to compliment the luxurious aspect on the S60 by providing sport seats standard that will literally hug you while you’re driving. Combined with the fact that they’re leather and heated, no matter what time of year or the weather, your experience behind the wheel will be an enjoyable and comfortable one. Adding on to the luxury appeal for the interior, you get a Harman/Kardon premium sound system, a navigation system, dual zone climate control, and a leather wrapped steering wheel. Passengers in the back will be greeted with very comfortable and supportive bench seats that will keep them in place, and give them good leg room. They’ll have rear cup holders that fold down from the center seat, along with a storage compartment that can fit smartphones and other small items. When it comes to Volvo, safety is the number one priority. Blind Spot Information System, Brake assist, Rear Park Assist Sensors, Rear Park Assist Camera, and anti-whiplash front head restraints highlight the safety features on the S60. For performance, you’ll get a turbocharged 4 cylinder engine with 240 hp and 258 lb feet of torque. An 8 speed automatic transmission w/Geartronic comes standard, but paddle shifters are optional. When it comes to fuel economy, you can expect to receive 23 mpg in the city and 31 mpg on the highway. Volvo also offers two drivetrain variants on the S60, FWD and AWD, with front wheel drive getting slightly better gas mileage. The S60 I got to review was the base AWD trim with the heated front seats and steering wheel package. One of the options that Volvo offers include: the $1000 Sports Package that gets you paddle shifters, sports chassis, electric power steering personalization, and 19″ Portia Diamond Cut Alloy Wheels. The Technology and Vision packages offer additional safety features, such as Collision Warning w/ Full Auto Brake & Pedestrian and Cyclist Detection, Adaptive Cruise Control w/ Queue Assist, Lane Keeping Aid, and Driver Alert Control to name a few. Overall the 2018 Volvo S60 T5 Dynamic is a great daily driver. You get safety, luxury, and performance, along with AWD as an option. The MSRP of the S60 I reviewed is $41k, but the front wheel drive variants start around $34k. It’s reasonably priced, making the S60 a serious competitor to the BMW 3 Series and others in its class. Volvo has made strides against their German counterparts over the past few years, and with their resurgence in the luxury market, Volvo can no longer be overlooked. In the car community, having a car with a stick or being capable of driving a manual car, is an added bonus to show your knowledge and legitimacy as a car enthusiast. Often we discuss what car with a manual transmission would be perfect to learn and or own. The Mazda Miata is always brought up for many reasons, including the fact that it’s essentially a street legal go-kart which gives drivers the sensation of being connected to the road. 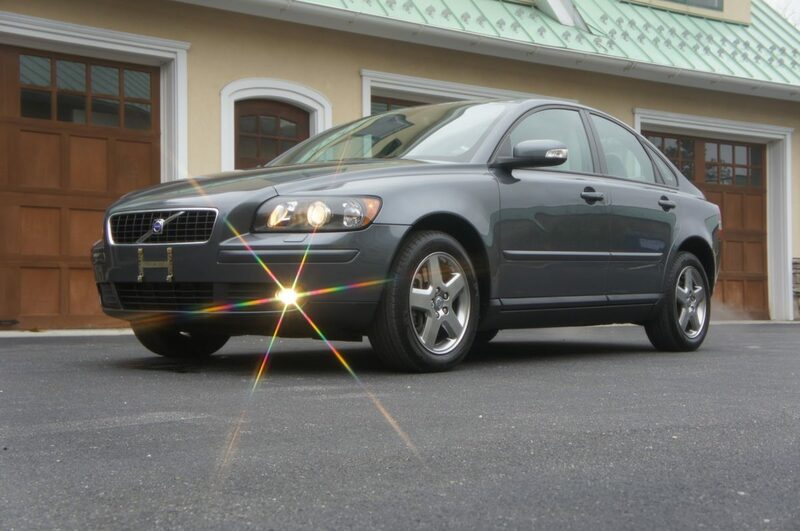 There are many other candidates, but one that is never mentioned nor given credit as being a fun car is the Volvo S40 T5. I know what you’re thinking, but much like the C30, the S40 can be fun to drive, and in fact could be the perfect car to learn how to drive a stick. Many S40 owners complain about the close proximity between the brake and gas pedals, as you’ll most likely accidentally tap on of them. This dilemma actually brings up the perfect opportunity to start heel-toeing, which will make you a better driver and help train you to shift through the gears smoother. The S40 T5 has other benefits as well, including performance and modification capabilities. With a turbocharged 5 cylinder engine producing around 227 horsepower, you’re going to have a decent car right off the bat. It won’t beat a fully stock MazdaSpeed3 but you’ll have more horsepower than a stock Volkswagen GTI. This now leads up to modifications, and here are just a few S40s that are out there where the owners brought the Swedish sedan to the next level. Overall the S40 is a great car to start out with, whether to daily drive or learn how to drive a manual. It’s a safe car, the interior is cozy, and the seats are absolutely comfortable. Perfect for the driver who also wants to step into the entry level luxury segment. Despite not being a BMW, Audi, or Mercedes Benz, it’s definitely an alternative if you don’t want to buy a Japanese car, but with that does come costs at the repair shop. Right now you can find S40 T5s around $5k – $6k. If you’re lucky enough to stumble upon an S40 T5 R-Design don’t pass it up. Not only are they rare to come by these days, but you get some added goodies in terms of aesthetics. They’re also holding their value slightly better and can be purchased for around $12k. Most importantly, you’ll have a novelty car. Not many S40 T5’s are out there on the roads, let alone a modified one. It’s safe to say that at a local car meet, you’ll have the only S40, but it will be unique which just adds to the appeal and the whole package of owning one. 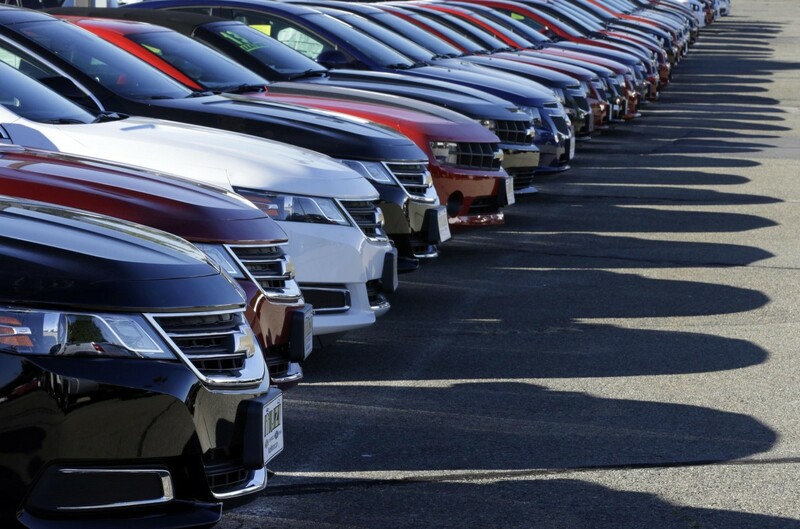 Auto Sales Get Decimated In October – A Sign Of Things To Come? The month of October was not friendly to most car manufacturers, as overall sales in the United States dropped 6%. This sharp drop can be attributed to volume sellers who saw declines that haven’t been posted in quite sometime. Is this a reason for concern moving forward? Is a slowing auto market going to be the new reality that manufacturers will face for at least the short term? New car sales have been slowing over the past few months, but October’s sudden drop in overall sales is nothing that should be taken lightly. It should be noted that October of 2016 had two fewer selling days than October of 2015, but with some of the percentages that were posted, not even two extra selling days could change the outcome of a bleak new car market. It has not been a good year for the Fiat-Chrysler group, and October magnifies the downward trend in sales for most of the brands. Chrysler posted a decline of 44.7%, Fiat down 24.3%, Dodge -16.4%, and Jeep -6.6%. Three out of the four brands listed are down on the year for new car sales, while Jeep is still maintaining an increase of 9.7%. With Dodge ending the Dart and Chrysler no longer producing the 200, sales figures being down was to be expected, but for the auto group as a whole, there’s not much excitement for any of the brands, besides Dodge which produces the Challenger and Charger. Volvo and Land Rover, two manufacturers who are both up on the year in new car sales in the United States, saw sharp declines in the month of October. Volvo, a brand that has been revived thanks to the all new S90 and completely redesigned XC90, experienced a 14.6% drop in sales. Land Rover saw a decline of 23.2% in October. Despite the sharp drop in sales in the United States, Volvo and Land Rover are still having a fantastic year overall, and shouldn’t be too concerned about the final quarter of the year, unless lower sales figures overall in the automotive market becomes a trend. BMW may be the biggest surprise for lower volumes in sales, not only for October, but for the year of 2016. Down 18.4% last month, and down 9% for the year, BMW is the only brand out of the big three luxury manufacturers in Germany that has experienced declines. Mercedes Benz and Audi are still strong, and while sales were flat in October, the loss of two sales days could be a contributing factor. Volkswagen on the other hand has not recovered from Diesel Gate, and with a loss of 13.5% on the year and another double-digit loss last month, it just continues to get worse for the German auto brand. Not everyone is reeling from the October blues, there are car brands that had a fantastic month with Bentley, Jaguar, Maserati, and Porsche having double and even triple digit increases in sales. The British are leading the way and Jaguar’s 226% sales increase can be attributed to the F-Pace and XE, which have both taken their respective markets by storm. The F-Pace is Jaguar’s first attempt at making an SUV, and so far it has been a great success, while the XE, which is the British’s answer to the BMW 3 Series, is seeing strong sales since it’s arrival to the market earlier this year. 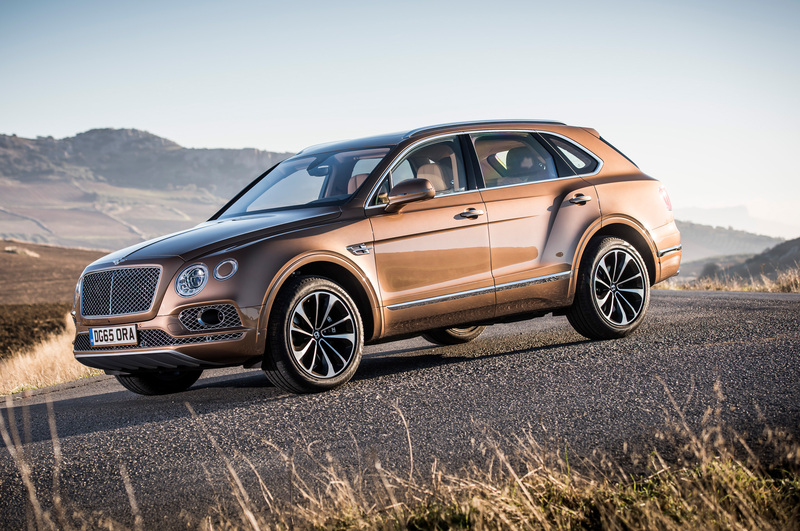 Bentley’s impressive gain of 158% in sales last month is all thanks to the Benteyga, which is Bentley’s first ever SUV. In October, the Benteyga contributed more than 33% of sales for the Bentley brand. While the British luxury car maker is down on the year by 6.8%, the entrance into the luxury SUV market has yielded strong sales figures, with the Benteyga making up about 50% of Bentley’s sales in the US since it’s debut on the market in August. Maserati, much like Bentley and Jaguar, has seen strong sales numbers since entering the SUV market as well. The Levante, which also brought in about 33% of sales in October for Maserati, has received raved reviewed by journalists and consumers. Maserati has hit a home run with their luxury SUV, and that is starting to trickle down to other cars in the lineup. The Ghibli had a strong month alongside the Levante, leading to Maserati’s 11.8% increase in sales for the month of October. Porsche had the best month out of all German brands in October, with luxury SUV’s again being the main contributor for strong sale. 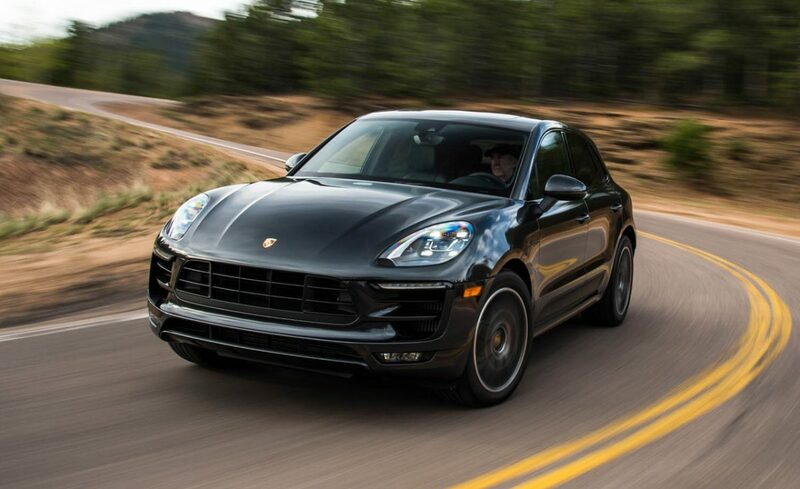 Up 10.7% in October and 3.2% for the year of 2016, Porsche has seen tremendous sales figures and it’s the Cayenne and Macan that is carrying the once sports car dominated lineup. Strong sales across the board for luxury brands could be a good sign, despite the slowing of overall sales in the market. While Fiat-Chrysler, BMW, Volvo, and many others struggled in October, there’s no reason to panic just yet. If the fourth quarter of 2016 continues a downward trend and that transitions into the new year, then there would be a legitimate reason for concern. As for right now, we can only hope that October isn’t the start of a trend, and that the holiday season and the incentives that come with it could motivate consumers to buy in November and December. Author Mike CerraPosted on November 3, 2016 Categories Automotive WorldTags Audi, Auto Sales, Automotive, Automotive World, Autos, Bentley, BMW, Car Sales, Car Sales October, Chrysler, Dodge, Jaguar, Jeep, Maserati, Porsche, Volkswagen, VolvoLeave a comment on Auto Sales Get Decimated In October – A Sign Of Things To Come? Is Audi, BMW, and Mercedes Benz Styling Becoming Lazy? Remember when you were walking back to your car with groceries and saw a Mercedes Benz and knew exactly what model it was? Have you seen two Audis parked next to each other and could distinguish the difference between the two from a distance? Do you also remember when BMW’s numbering system actually made sense? Those were the days. Now German automakers just extend or shorten the length of models, stick on a different number, and sell it with some added gimmicks or lower price tag. Anyone else see a growing problem from the German luxury market? Needless to say, the interiors that Mercedes Benz offers is in a league of its own. A comfortable and welcoming environment could make the idea of living in an S-Class sound reasonable. Audi’s updated cabin that’s now noticeable in the 2017 Q7 and A4 will put them in the upper echelon when it comes to stylish and luxurious interiors. But when you take a look at the outside of most of the models the big three German manufacturers offer, you begin to realize just how lazy automotive design has become. Starting with BMW, the 3 Series, 5 Series, and 7 Series all had a slightly different face a few years ago. You could tell they were from the same family, but the siblings were not identical. Today with the recent addition of the 4 Series, the two door coupe and convertible are essentially the sportier versions of the 3 Series sedans. But it doesn’t stop there. With the 435i Gran Coupe, BMW has effectively created a dilemma where a four door has been given a number that was supposed to symbolize the difference between the coupes from the sedans. There’s no value proposition that the Gran Coupe offers, in fact you pay more for what is a 3 Series with an extended trunk. Audi might just be he laziest of them all, despite BMW and Mercedes Benz attempts to claim the thrown on producing identical cars. Park an Audi A6 and A8 next to each other, same color and year, and you’ll have a 50% chance of guessing the correct model. If you subtract the A7, TT, and SUVs from the Audi lineup, you’re left with three sedans and one coupe that all have similar body styles and faces, but only differ in size. At some point, an executive at the corporate level must take a look at the lineup and think, “Maybe we need to stop being so mundane”. The lack of creativity and originality is frightening to say the least. Yes the Mercedes Benz AMG’s, BMW M-Series, and Audi S-Line make our mouths water and we crave more power, but at the end of the day, the German automakers are beginning to lose their speciality. Right now we’re living in an era where the i8, R8, and GT-S are the only iconic cars that we’ll look back on and remember. Twenty years ago, the BMW M3 and Mercedes Benz 190E Cosworth were attainable sports cars that we could all enjoy. Today there’s not a special car within the reach of the average American. German cars will always be looked at as the very best in luxury. However, maybe it’s time to look elsewhere for a car that is unique. Jaguar and Volvo are beginning to find a foothold, and once their new and updated lineups are completed, the Germans will have stiff competition coming from Britain and Sweden. Author Mike CerraPosted on March 16, 2016 Categories BMWTags Audi, Automotive World, Autos, BMW, Car Dealerships, Car dealerships Massachusetts, Cars, Jaguar, Mercedes Benz, VolvoLeave a comment on Is Audi, BMW, and Mercedes Benz Styling Becoming Lazy?